Each month we’ll be running a different competition offering amazing prizes. To stay up to date with all the great things you can win, 'like' our page on Facebook and follow us on Twitter. Welcome to our Social Media Competition page! It's a new year and once again we’ll be running different competitions each month offering amazing prizes. To stay up to date with all the great things you can win, 'like' our page on Facebook and follow us on Twitter. 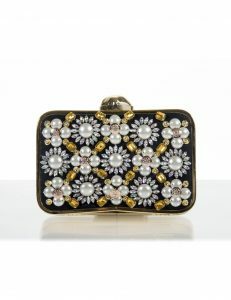 This January we are giving you the chance to win a gorgeous embellished clutch bag from Aftershock London. Good luck and keep an eye out for more great prizes! 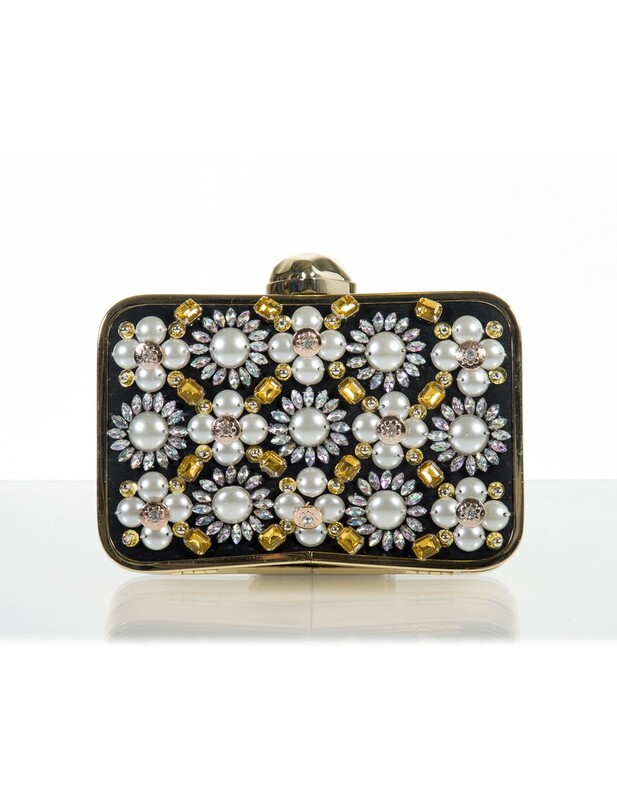 Anyone who enters the competition via the means below will be entered into a free prize draw for a chance to win an embellished clutch bag worth £60! The promotion is open to UK residents only, who are Facebook or Twitter users, excluding employees of Insure the Box Limited, ITB Services Ltd, their associated companies or any other company linked to the promotion in any way, and the families of the same.This also excludes employees and those directly associated with the collaborated brand (Aftershock PLC). "Fancy winning this clutch bag from Aftershock London? All you need to do to enter is Like & Share this post and like both our brand pages! Competition closes 31/01 at 12 Midday. #DLGWin T&Cs: "
If entering the competition on Twitter, valid entrants must have retweeted the original tweet, be following @drivelikeagirl and the associated brand when the winner is selected. A winner will be chosen within 48 hours of competition closure. If entering the competition on Facebook, valid entrants must have liked the competition post, drive like a girl and associated brand’s Facebook pages when the winner is selected. A winner will be chosen within 48 hours of competition closure. Strictly one entry per person. Any users found by the Promoter to be using multiple accounts or sending duplicate tweets will be disqualified. Entries are only valid if they are completed correctly in accordance with these Terms and Conditions. The Promoter accepts no responsibility for late, incomplete, incorrectly submitted, corrupted or misdirected entries. The promotion opens at 12:00 GMT on 17/01/2017 and closes at 12:00 GMT on 31/01/2017 (the “Promotional Period”). All entries must be received by 12:00 GMT on 31/01/2017. Entries received after this will not be counted. There is no age requirement to enter the competition. If entering, you must use the Twitter service to retweet the original tweet published by us, not “quote” the tweet and publish it yourself. If you “quote” the tweet your entry will be not be valid. The winner will be selected by the Promoter at random under the supervision of an observer from all valid entries. No purchase necessary. The winner’s name and/or Twitter handle will be announced on: drive like a girl Twitter and Facebook page. The winner may also be required to take part in post event publicity. The winner will be notified by direct message depending on the channel the winner used to enter the competition. In order to receive their prize, the winner is required to respond to the Promoter within 24 hours of the winner being chosen. Should a winner not provide this information within 24 hours of receiving confirmation from the Promoter that they have won a prize, the Promoter reserves the right to redraw the prize. In the event of a redraw, the winner will be selected by the Promoter at random under the supervision of an observer from all valid entries. The winner selected from the redraw will be required to respond to the Promoter within 12 hours. The prize is non-transferable and cannot be substituted with a cash alternative. Should the prize be unavailable or ‘out of stock’ when the winner is drawn, the supplier reserves the right to replace the prize with another of the same value and quality. This promotion is in no way sponsored, endorsed, administered by, or associated with Twitter or Facebook.